The Cappies, "Critics and Awards Program," is a program through which high school theatre and journalism students are trained as critics, attend shows at other schools, write reviews, and publish those reviews in local newspapers such as The Washington Post, Cincinnati Enquirer, Dallas Morning News, Kansas City Star, and The Philadelphia Inquirer. 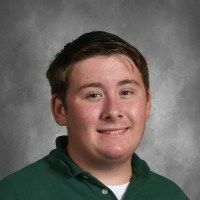 Stephen D'Antonio '20 is one of Archmere's six-member Cappies critic team that must attend five shows in the Greater Philadelphia Area and then write critical reviews of the shows that they see. Stephen's review of Interboro High School's production of 12 Angry Jurors was selected for the top critic review and will be published on the Philadelphia Inquirer wordpress page. Stephen's review, which was also the first reviewed show by our Cappies team, was selected from a pool of 23 critics. Other members of the team include Julia Parisi, Kyla McAvinue, Riley McAvinue, Melina Reilly, and Alexis Rendal. In May, at the Cappies Gala, awards will be given for performance, non-performance, and best critics. Getting published earns a critic points towards that critic award. Archmere's winter musical, The Addams Family, will be a Cappies show this year, and we will host over forty critics from all over the Philly area. To read Stephen's full review of 12 Angry Jurors click here.